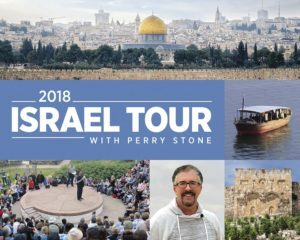 You will embark upon one of Perry Stone’s most significant prophetic studies with this package that includes his latest book on prayer, “Scarlet Thread” along with his newest DVD “Black Banners Rising”. We must return to time spent in prayer to save the lost, place a hedge around our families and to help change the nation! Time is running out! From one act of faith – a scarlet thread in a window – a family legacy was forged. Recent events bring to light end time prophecy coming to pass in this most important 2-hr DVD, Black Banners Rising. You will embark upon one of Perry Stone’s most significant prophetic studies in recent years when you obtain his newest 2-DVD series, Unsealing the Daniel Cipher! 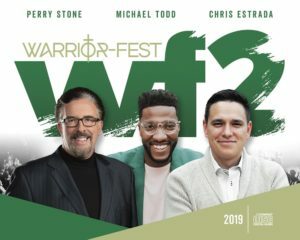 Included with this 2-DVD series you will receive an additional new DVD teaching entitled, “12 Gates to Satan’s Underworld“. See and hear stunning research along with Biblical evidence pointing to a subterranean world located under the earth’s crust that houses both fallen angels and the spirits of unredeemed humanity. Many have forgotten how to live and walk in childlike faith. They have complicated Christianity with forms, rituals and self-preservation techniques, and have forgotten that all blessings are released to those who have the faith of a child. Further, the enemy is out to destroy your destiny by taking the jewels and treasures in your life but this can be recovered and restored! This package offers resources to inspire and encourage your spirit man and to help you to refocus on your spiritual vision. The bonus CD in this offer is one of the best biblical based teachings on perhaps one of the most controversial subjects involving the time of the Lord’s return. Many argue concerning “Pre-Tribulation, Mid-Tribulation and Post-Tribulation.” On this CD Perry shares his belief on the Great Tribulation and return of the Lord. You don’t want to miss this offer! The Judas Goat package includes Perry’s book “The Judas Goat” and DVD “Don’t Awaken Love Before the Time.” In his latest book The Judas Goat, Perry Stone is now revealing his most comprehensive study on dealing with rejection, recovering from betrayal, and healing emotional wounds through forgiveness. 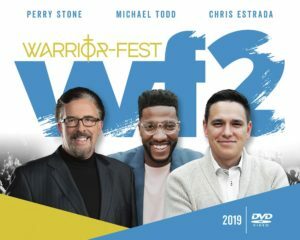 On the DVD included in this offer Perry will explain the four levels of love; attraction; discerning voices in your relationships; and the danger of giving your heart away to the wrong person. Have a glimpse into the life from childhood to present day of living in ministry and following the call of God on your life to fulfill His plan. Also included in this package is the teaching by Perry on keeping your marriage and relationship fresh and renewed. The Book of Remembrance package includes 3 powerful audio CD messages on the coming of the Lord and the Book of Remembrance.